Gray Nicolls Predator 3 450 Cricket Batting Legguards. 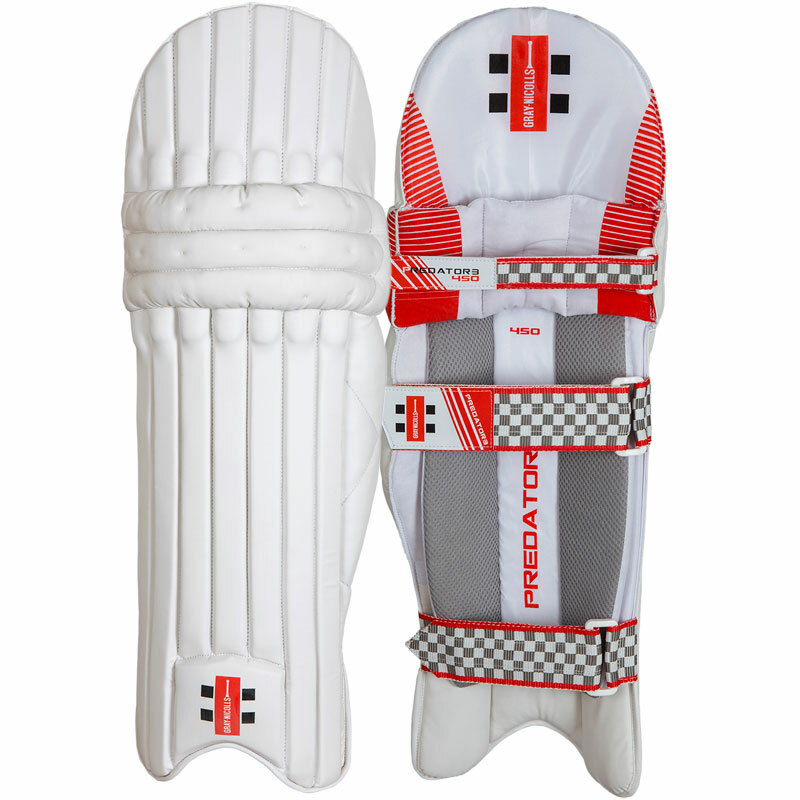 Gray Nicolls pad collection, faster, lighter, quicker than the best cover fielders. Give them another thing to worry about other than your booming drives. A dual wing design with ergonomic shaping combined with 2.5 inch calf and ankle straps for excellent fit. 8 Section high density foam fronted pad for a lightweight protection plus additional padding on instep. 3 Section certical shin bolster with breathable mesh panels and 3 piece knee design.